Halloween is just 10 days away! The holiday is getting more and more popular each year and it's one of the many holidays my kids look forward to because C-A-N-D-I-E-S! They love loading their pumpkin head buckets with loads and loads of treats. 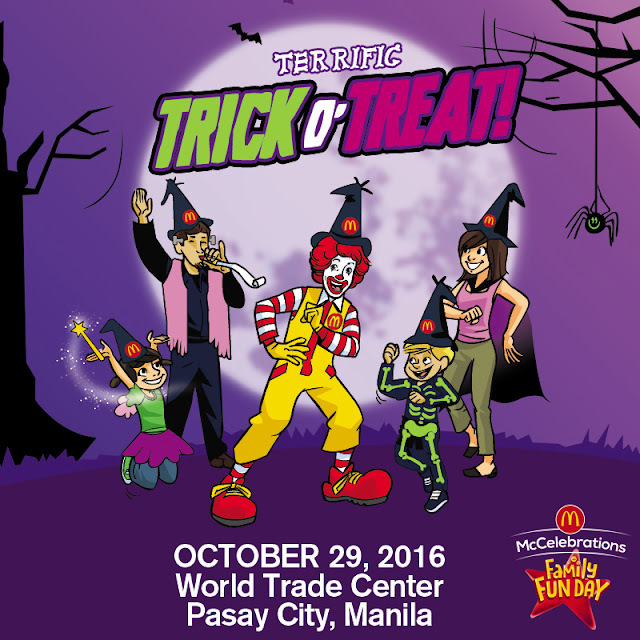 This year, our beloved McDonald's is joining the Halloween bandwagon as it holds the Grand Halloween Family Fun Day for the first time ever in Manila and for the second consecutive year in Cebu! 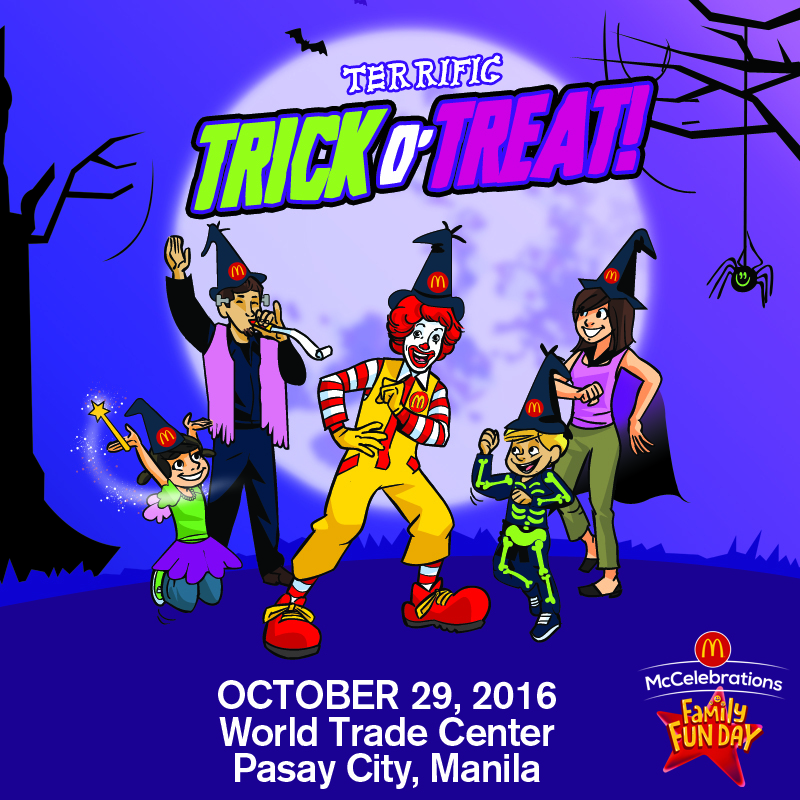 Get ready for exciting games, treats and tricks, bone-chilling prizes and more spooktacular surprises. Enter the Magical Kingdom Gates, play thrilling games at the Magical Kingdom Grounds and watch the Royal McSpectacle! In Manila, it's happening at World Trade Center on October 29, 2016. In Cebu, it's happening at J. Center Mall, Mandaue City on October 22, 2016. Tickets are available in all McDonald’s restaurants in Metro Manila and in Cebu. Kids who will sign up will get their cape, pumpkin bag, and a hat to complete their overall Halloween look! They will also enjoy their Happy Meal with 1PC Chicken McDo meal.